When you think of GPS navigation systems, one of the first names that probably comes to mind is Garmin. Have you joined the fan club yet? In terms of wearable GPS systems, smartwatches have become the standard for both athletes and non-athletes alike. We track our steps, our calories consumed & burned, our heart rates, how far we’ve walked or run; the list goes on and on. Having such technology at our fingertips - or on our wrists - promotes healthier lifestyles and motivates us to keep going. Technology can help us live healthier. It’s up to you whether you use the opportunity. Garmin has created, and continues to create, strong lines of wearable GPS trackers. From the simplest vívofit® series to the most advanced D2 Delta smartwatches, Garmin provides multiple options. They also cater for you no matter what your fitness or activity level might be. Two of these lines of Garmin smartwatches are the Fenix and Forerunner series. Is one of them the way you’ll improve your lifestyle? Both have superb features and are excellent for the avid runner/triathlete. With the variations in styles, function, and price you’ll find one right for you. So let’s take a look at the Garmin Fenix 5 vs Forerunner 935 and see how they stack up against each other. The Garmin Fenix 5 is a premium multi-sport GPS smartwatch designed for optimum performance tracking. With multi-network navigation and advanced performance metrics, the Fenix 5 series tracks your activity 24/7 on the go or even asleep. Whether your activity of choice is running, swimming, cycling, skiing, golfing, or just a leisurely stroll, this watch is ideal for all of your health tracking needs. Each of the Fenix 5 models comes with ample features such as interchangeable QuickFit® bands, custom apps, and multiple watch face options. It’s possible to let your watch show your personality and match your style. 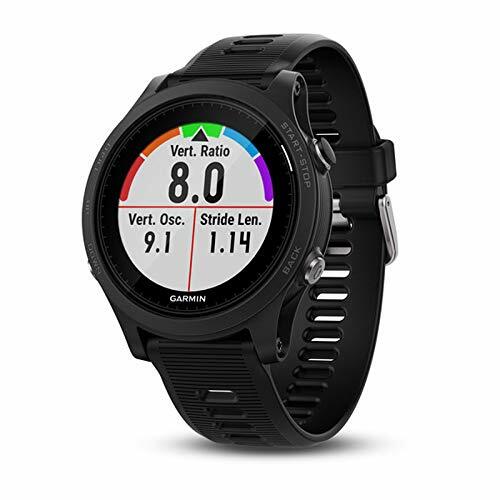 When paired with your compatible SmartPhone, this watch provides you with access to automatic uploads to Garmin Connect, music controls, audio prompts & more. It doesn’t, however, play music independently, so if you want music while you go for a run or workout, you’ll have to bring your SmartPhone along. However, the new Fenix 5 Plusseries does have the capacity to store and play music, meaning you don’t need to have your phone with you. The battery life of the Fenix 5 is substantial, lasting up to 2 weeks in watch mode, 24 hours in GPS mode, or 75 hours in UltraTrac mode. Note that this varies between models. It has also been water resistant rated at 10 ATM (100 meters), giving you the ability to swim & dive freely while still tracking your activity. The Garmin Forerunner 935 is a lightweight & comfortable, GPS equipped running/triathlon watch. The bonus is it’s designed for all-day activity and wear, so even if you don’t have an active lifestyle you may find this one to your liking. With easy-to-swap QuickFit® bands, you can easily change between sporty silicone, classic leather, or even high-end metal, depending on your style preferences. 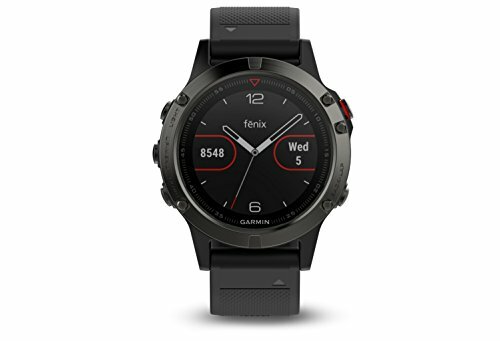 As with the Fenix, the Forerunner is SmartPhone compatible, giving you access to Garmin Connect, music controls, performance monitoring, and advanced dynamics. This model also isn’t designed to play music independently, so again, you will need to bring your phone along on your run. The battery life of the Forerunner is impressive, lasting up to 2 weeks in watch mode, 24 hours in GPS mode, or 60 hours in UltraTrac mode. The Forerunner 935’s water resistant rating is 5 ATM (50 meters) so no need to worry about getting your watch wet while swimming and training. So where does that leave you? The Garmin Fenix 5 and Forerunner 935 share essentially the same functionality & interface, but with a few different construction components and features. These differences are reflected in the price, with the Forerunner being more affordable than the Fenix. If budget is a concern, the Forerunner 935 is probably the better choice for you. It still gives you plenty of features similar to the Fenix 5. But if you’re looking for a smartwatch with a sleek design and top of the line features, the Fenix 5 definitely gives you the best bang for your buck. And if you’re willing to pay a bit more, the updated Fenix 5 Plus models adds independent music capability and Garmin Pay to the mix. Which one will feature on your arm this year? Tracking your activity may be just what you need to keep to your new year’s resolutions.